Optical windows are used in variety of industries to separate two different environments while allowing light to pass through. For over 50 years, Advanced Optics has provided custom and off-the-shelf optical windows used in the aerospace industry, military and commercial avionics fields, scientific and medical instrumentation, academics and research, as well as in industrial applications. 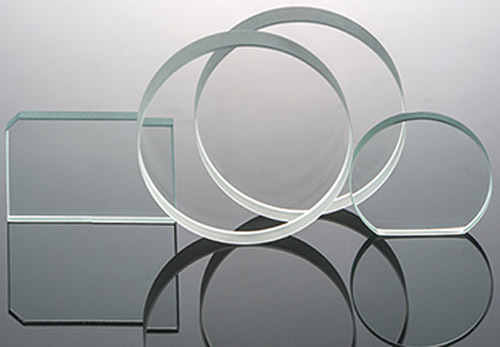 Advanced Optics manufactures optical windows of various shapes, dimensions and finishes designed to meet your exact application. Our precision optical windows are polished to either λ/4, λ/10 or λ/20 and are offered either uncoated or with MgF2 or BBAR coating. Custom coatings available upon request. In addition to our in-stock round optical windows, Advanced Optics has the capability to manufacturer square and rectangular windows as well. We have the capability to provide custom shapes, apply bevels and even drill holes to meet your unique application.